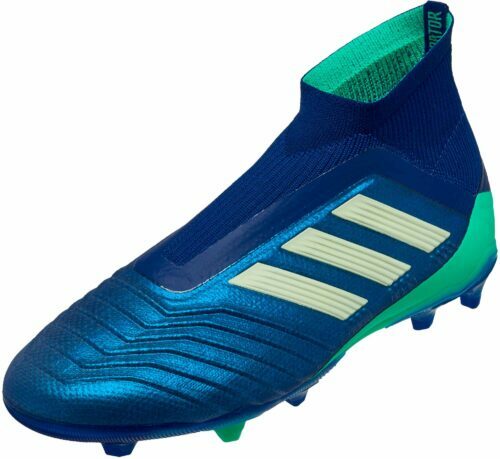 We have a special interest in you buying these Exhibit pack adidas Nemeziz 18.1 FG Soccer Cleats. 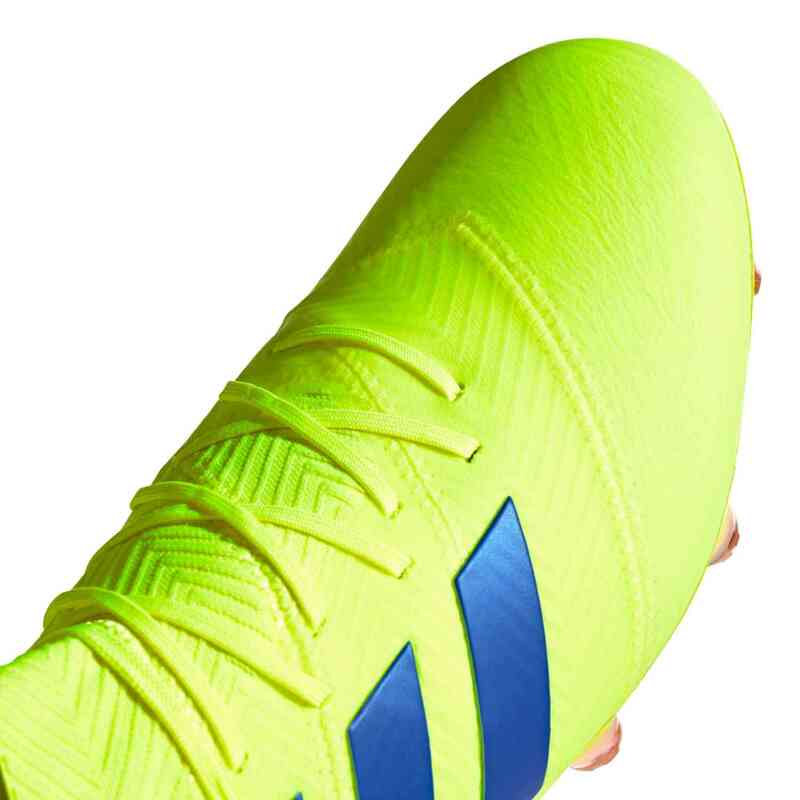 It's true that we are a soccer retailer. We thrive when you buy shoes from us but there's a more important thing to note and that's the fact that we try to ensure that you have the best of the best because that'll make you happy and satisfied and when you're happy and satisfied then you love us and come back to us and everyone is super happy! And that brings us to these shoes. They are going to make you extremely happy. 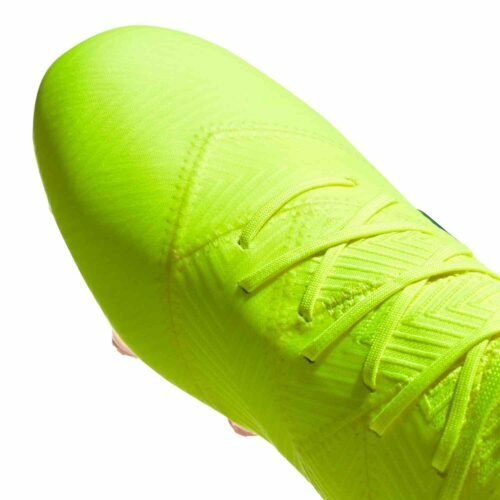 When it comes to soccer cleats, these are the shoes Lionel Messi wears, that ought to tell you everything you really need to know. 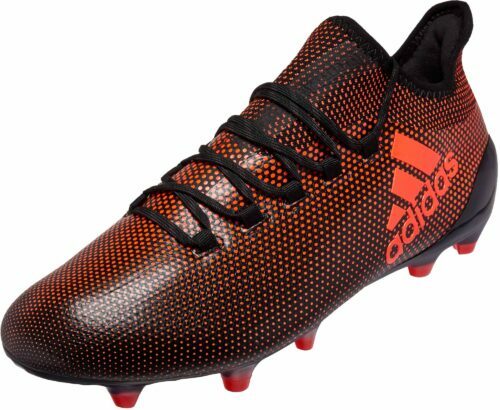 The greatest player the game has ever seen wears these boots. If you've got the tricks to turn a game on its head, you're ready to weave your magic in Nemeziz. Created for unplayable agility, these soccer cleats have a unique bandage construction that provides both compressive support and complete flexibility. 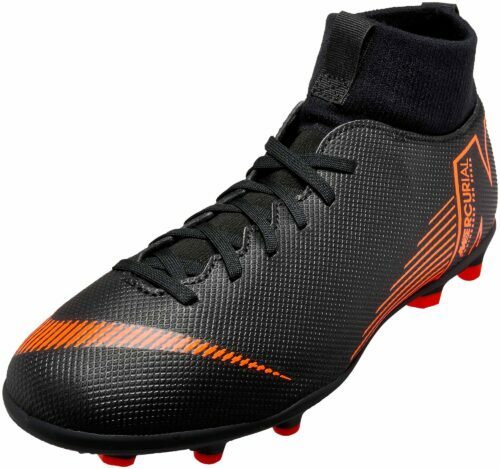 A dual lock collar secures your ankle when you're ready to explode into action. 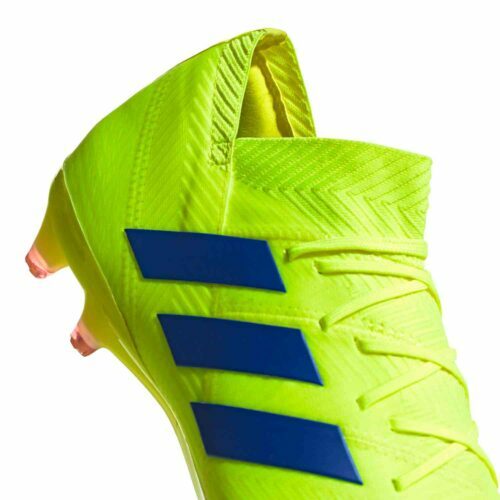 These boots are made to move and are inspired by sports taping, Agility Bandage gives you support plus total mobility for radical play. 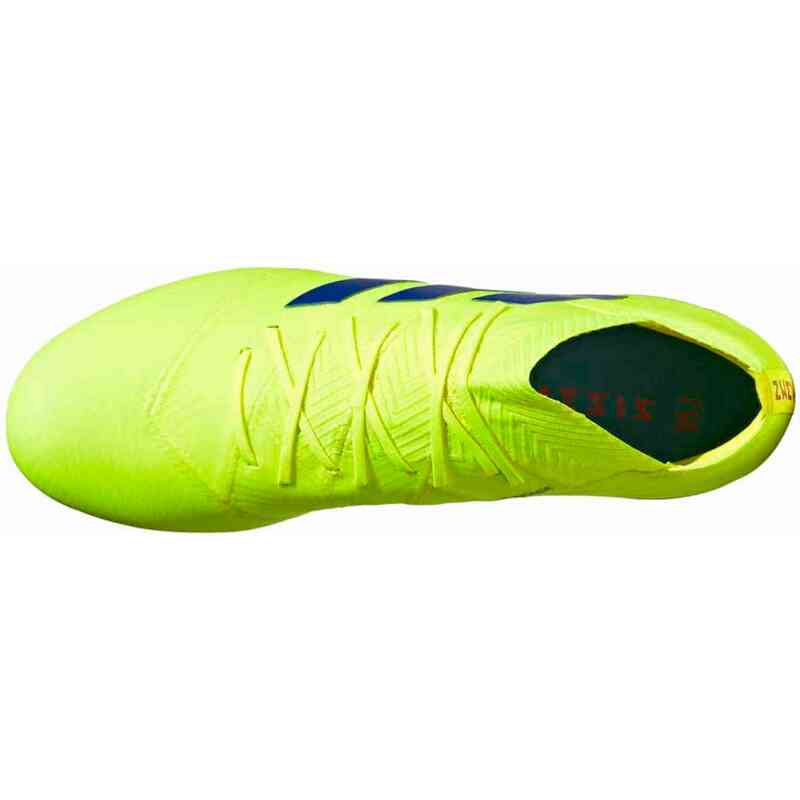 The responsive touch got from the Agility Weave forefoot provides a direct touch on the ball. 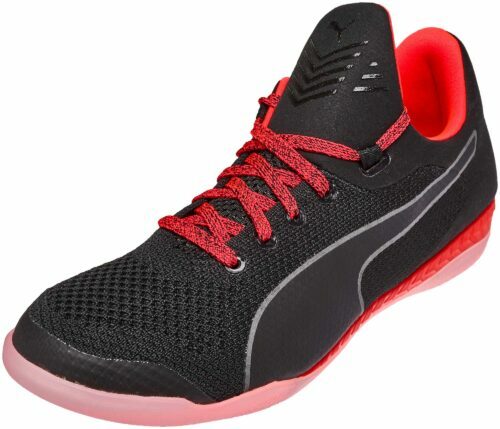 There is ample ankle support giving you secure lockdown and ankle stability with a dual lock collar. 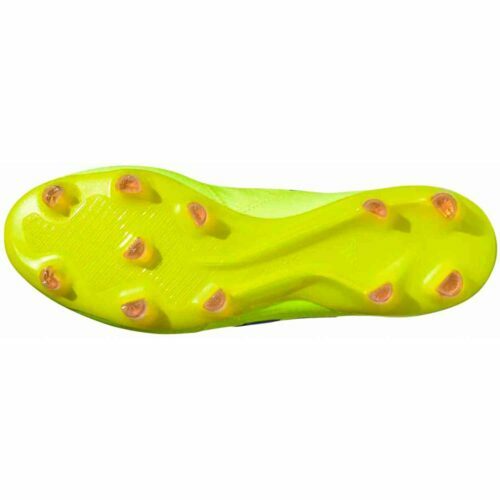 Of course, agility on firm ground and explosive power on dry natural grass are important and come from the lightweight Torsionframe outsole with Torsion Ribs for push-off support. 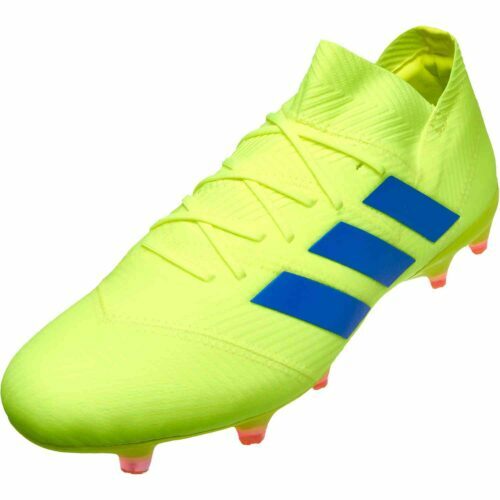 We have come to love the adidas Nemeziz soccer boots because they're splendid and make us really happy. They'll make you happy as well so buy a pair today!